There’s never been a better time to party. With our 8 Best Star Wars Halloween Ideas for 2018, it just got easier. Whether you’re looking for Star Wars costumes for kids, a Jedi costume, Star Wars costumes for adults, toddler Star Wars costume or something cute that fits the dog, we have 8 great ideas for your consideration. Light Side or Dark, we have rounded up the best Star Wars Halloween gifts for your whole family, both humans and pets as well. Read on and trust your feelings. If you are a new parent, I am absolutely sure you can relate to babies being incredible alarm clocks (at all the wrong times). 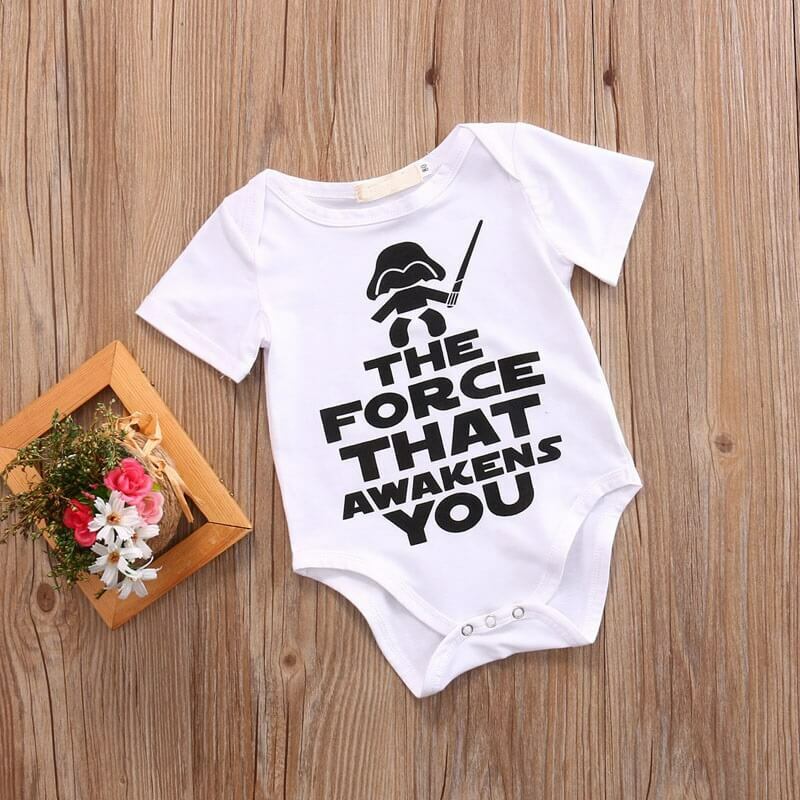 This funny, Star Wars parody baby one-piece features the text “The Force That Awakens You” for your new little one! Perfect of Star Wars fans, gifts for new parents, baby shower gifts, and baby shower ideas! 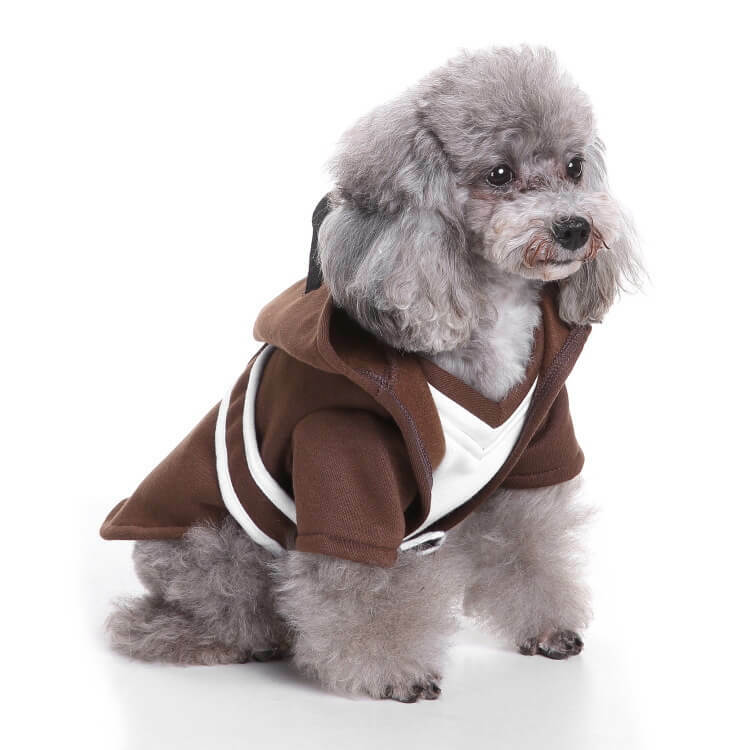 Your pet can join in the fun with this Jedi Robe Pet Costume. Dress your dog or cat as a Jedi Knight the next time you have a Halloween or Star Wars party. The costume will give your four legged friend a classic Jedi robe and the Force to let them fight for the light side of the force! Transform your little newborn angel into intergalactic royalty by placing this Princess Leia baby hat on her head. 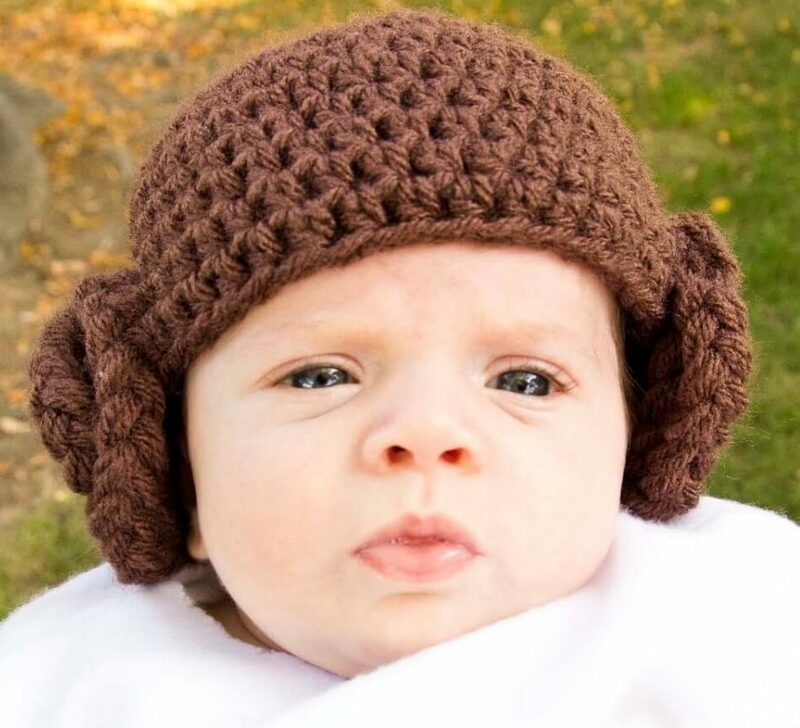 Each hat is hand-crocheted from brown acrylic yarn in the form of Princess Leia’s iconic bun hairdo and is designed for newborns up to 16 months old. 100% hand-made. Dress yourself up as the all time favorite astromech droid in The Force Awakens. Well almost that is, you will still need to walk instead of rolling around. Get tons of laughs and cheers with this totally hilarious BB-8 Inflatable Kids Costume. Everybody loves the cutest and newest droid in the Star Wars universe. This is definitely one of the best Star Wars halloween costumes for kids ever. 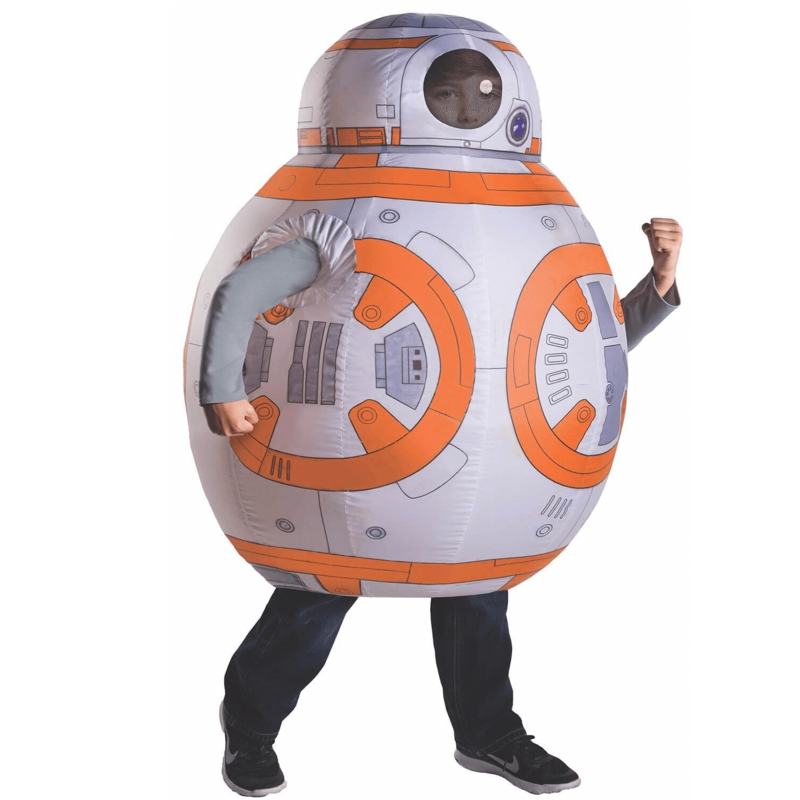 This BB8 costume fits kids from age 6 and above. Being the Jedi Master looks like a job for your little one! Complete with Yoda’s ears hat, lightsaber and matching bottom. 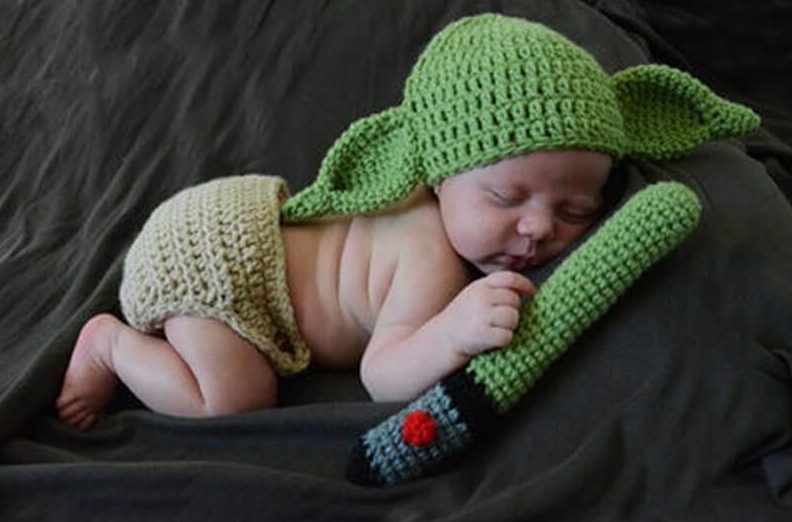 Start them early, dress up your youngling with the Yoda Crochet Set for newborns and set your baby on the path of the Light Side. Give into the Dark Side and look just like the Empire’s evil lord the next time the temperature drops by staying warm using this Darth Vader crochet hat. This realistic looking hat depicts the sinister Darth Vader in his iconic all black helmet. Dress up your little boys the next time you throw a Star Wars party or Halloween. An excellent item if you are looking for Star Wars costumes for boys. You might not be over seven feet tall, but you can still look like the great Chewbacca from Star Wars with this epic fur hoodie. 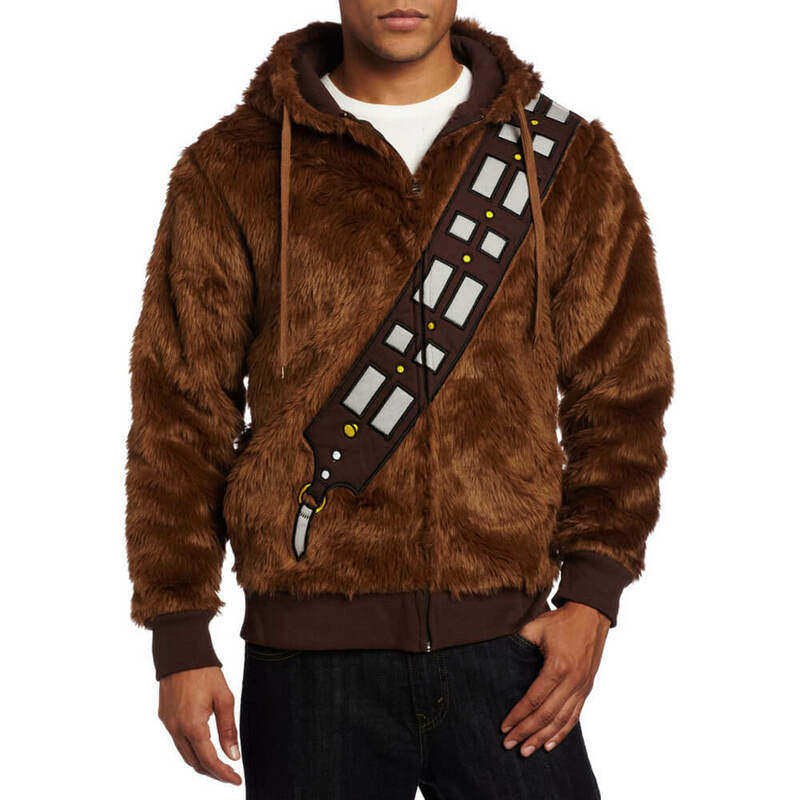 With a thick lining of insulation and plush faux fur, the Chewbacca Furry Hoodie is guaranteed to turn heads in admiration. A great alternative if you are searching for Star Wars costumes for adults but too shy to wear a full Chewbacca hairy suit. So let’s start getting cozy and warm. 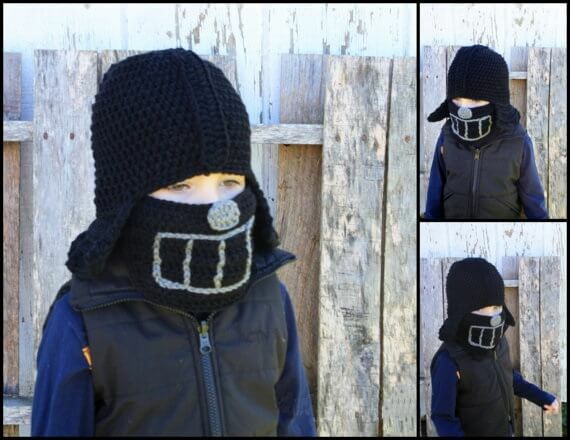 Join the elite ranks of the Empire’s oppressive army when you don this mask. 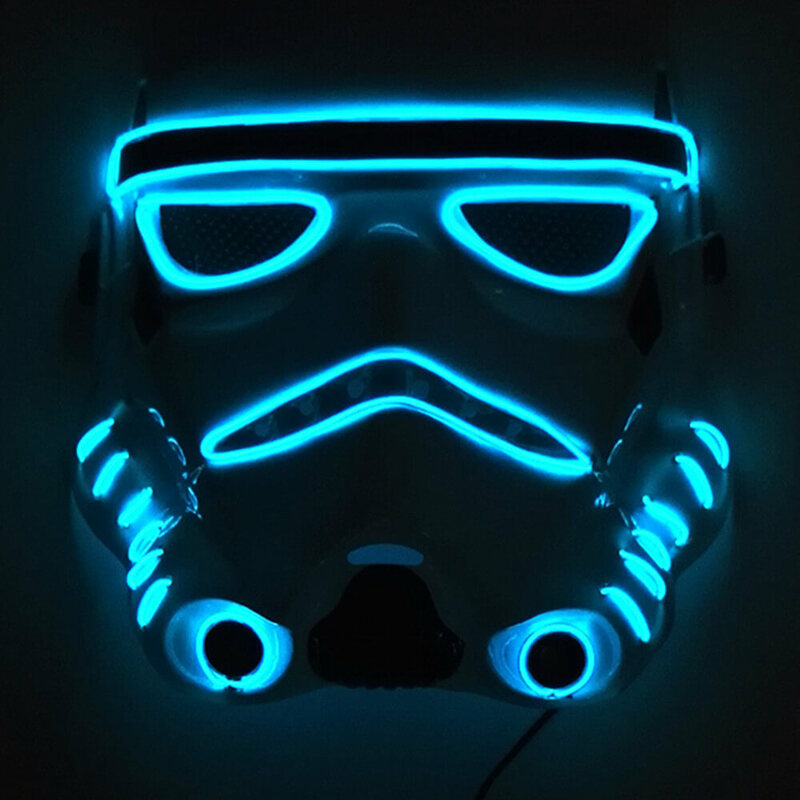 Get ready to party with this EL wired Stormtrooper masks. Available in 6 bright colors, these awesome masks will definitely steal the show. Excellent for night Halloween parties.